A couple of emails hit my inbox last week back-to-back. The first was from Glassdoor, Best Places to Work 2014, announcing their 6th annual employee choice awards. The second was from Craig Ferrara of AG Salesworks, 7 Things I Want My Inside Sales Team To Know For 2014. Now, I love Glassdoor. It's the best way to get the inside dish on the Pros and Cons of working at a given company. So I wondered, what if I grabbed a bunch of those reviews and compared them to Craig’s list? I got busy parsing and found something pretty interesting. I doth my cap, Mr. Ferrara. From those 100 sales reviews, I identified 3 themes that came up over and over again. I want to overlay Craig’s advice with a few actual quotes from those reps. Humor - I laugh more here than I've ever laughed in any job. Period. Collaboration and teamwork are some of the things that sets _______ apart and make coming to work every day exciting. The tenured and long-timers that are still around are incredible. They're not only the best in the company, they're the best in the industry. Incredibly talented employees from diverse backgrounds - we all have much to learn from each other both inside and outside the office. _______ won’t give you a map when you're hired...but if you succeed in the role you're given and prove yourself and earn trust, they'll actually allow you to create your own path. Management takes a genuine interest in helping employees transform their careers and learn new skills. Bi-weekly All Hands Call (with CEO) is impressive and unheard of based on other companies I've been a part of. Sr management does an excellent job of communicating, It's consistent, across all management levels. The first week I was here the CEO introduced himself personally to me. Management's door is ALWAYS open. Definitely take a look at the full 7 things post over at AG Salesworks. I took a quick look at tech companies with extremely low reviews. Take my word for it, not pretty stuff. 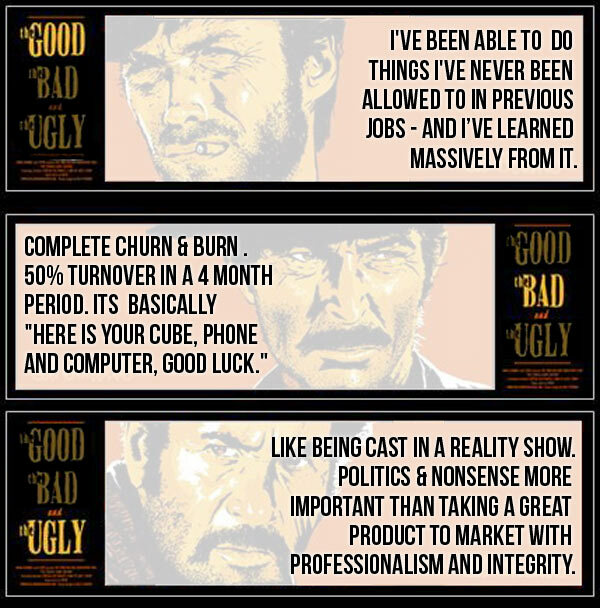 Here's a sample of the good, bad & ugly. What do you think? Have any thoughts to add on stopping sales rep turnover? Here’s to a successful 2014. Good selling! Matt writes about inside sales metrics & trends. 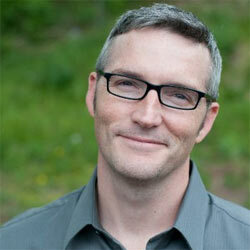 He is co-author of The Outbound Index.